Whether you’ve decided to take the leap into entrepreneurship or you’re simply blogging; once you have your domain name purchased and are just about to set up your website (even before the first lines of code or WordPress themes are installed), every professional website operator should have a complete list of keywords they think will be relevant to their business. What’s a keyword, you ask? According to RemarkaBlogger.com’s Michael Martine a keyword is simply the word (or phrase) people type into the search box at a search engine. So why do you need to research keywords and where do you start? Keyword research is a process in which a list is compiled of keywords to feature in the design and content of your site. This is accomplished by (as Google says in their SEO guide) thinking like your customer. What do you think they would be searching for? Keyword research is essential to any business as it forms the backbone of your search engine optimization. Without taking time and effort to think about what your potential customers will be searching for, you run this risk of never being found. It would be like opening a restaurant but forgetting to put a sign out front. Most of these terms are very general. High rankings for short tail terms is only possible with great content and marketing. But as your site grows, ranking well for short tail keywords becomes more feasible. 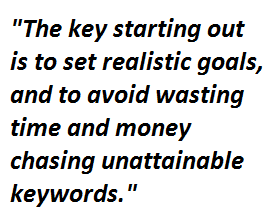 The key starting out is to set realistic goals, and to avoid wasting time and money chasing unattainable keywords. So at first, long tail keywords (longer, specific phrases) are the best to devote resources towards. Because of this, less time and money needs to be spent on ranking them. Online retailers, especially with specialized or niche products should try to focus less on short tail keywords. This is because the users that search for the shorter tail keywords are more likely to make a purchase. For example, somebody searching for bicycles (a short tail keyword) could be researching the history of the bicycle. An online bicycle store may receive more traffic by targeting this keyword, but end up with a lower conversion rate (percentage of visitors buying their product) than before. So how do you find the long-tail keywords associated with your website? There are hundreds of SEO tools out there, but the following are regarded to be the industry standards for keyword research. Google Suggestion Box – This is the first place I would recommend looking. 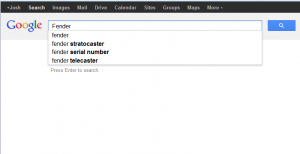 Simply type a word or phrase into Google’s search box and see what Google suggests. Obviously this isn’t going to give you an exhaustive list of keywords, but it’ll point you in the right direction. 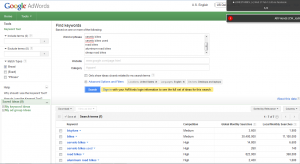 Google Adwords Keyword Tool – Google’s free tool that allows the user to see the competition and monthly searches for keywords. Also provides a list of suggested keywords. It’s free and easy to use. However it is a basic tool, and while it should be sufficient for a small company or novice, more experienced users may want something with more complexity. 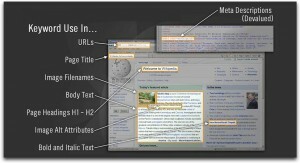 Wordtracker – Wordtracker is a beefed up version of Google’s Adword’s tool. Wordtracker Does a lot of the work for you, as Google’s tool requires the user to brainstorm links and manually type them in. 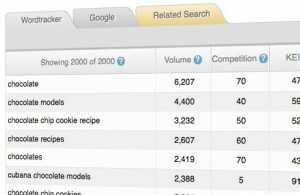 Wordtracker also allows you to ‘steal’ your competitors’ keyword research. However Wordtracker does come at a high price point ($69 a month). This may be too much for small, local businesses, but if the majority of your revenue comes from the web, Wordtracker is a great choice. They also have a free version of the tool which would suffice for most people. Market Samurai – Market Samurai is a versatile software program that allows the user to research keywords, back-links, and even the rankings of potential domain names for your site. Pros- Market samurai is versatile, and comes with a marketing strategy guide for beginners. They also have a “dojo” on their website that contains a bunch of useful articles and guides. Like Wordtracker, Market Samurai isn’t free. But at $149 for a lifetime subscription, it‘s cheaper than WordTracker in the long run. Next week, we’ll delve into more advanced topics; keyword research for different types of online media, and how to use geo-targeted keywords. In the meantime, jump over to this ChooseWhat forum post and add any questions about keyword research and improving your website ranking. One of our SEO experts can answer your questions immediately.